Yahoo! launched a beautiful weather app for iOS including stunning photos from Flicker. At the end of Q2 Yahoo! Weather was the number one ranked weather app in 23 countries, has held a strong 4.5 star rating in the App Store and received the prestigious Apple Design Award. This product sets the standard for the visual beauty and ease of use that Yahoo! is striving for in all of their products and since launch daily users have increased by 150%. Yahoo! Mail is also an important driver of business and was a focus in Q2, following December mail launches, and the management optimized Yahoo! Mail for mobile and in Q2, the Yahoo! Mail app for tablets was launched. This beautiful magazine like reading experience has contributed to daily active users being up 120% across Yahoo! mobile mail applications. 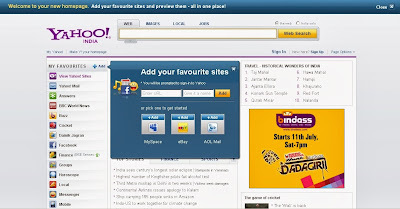 Also launched redesigned Yahoo! app for iOS and Android, complete with some integration; as a result of this launch, Yahoo! saw 55% increase in daily active users and a 60% increase in time spent using the application. At the beginning of May, Yahoo! launched two new monetization products; Yahoo! Stream app and Homepage Billboard. In both cases it is still early but the reception from advertisers has been warm. In May, Yahoo! delivered the new Flickr, puts photos front and center bringing them to life and beautiful full resolution. Yahoo! also pulled off an engineering marvel giving their Flickr users one terabyte of space each for free. That space for more than half a million photos of original, full resolution, pixel perfect quality. Since the launch, Yahoo! has seen daily photo upload increase by a factor of 3 and occasionally by a factor of 7 across Flickr desktop and mobile. Yahoo! Sports app was refreshed with more content, faster performance and a more modern design. Yahoo! has already seen 50% growth in daily users from Q1 to Q2 driven by this launch. Yahoo! introduced a completely redesigned Search Results page; the new design combines beauty with utility. The company placed search results high on the page and were delivering them faster and are doing essentially an experiment each day more than 130 this past quarter to improve the user experience and deliver revenue and that's in addition to the work Microsoft is doing on their end. In Q2 the company also redesigned Yahoo! News, easier to user and features a personalized news stream. This new design is the first step towards creating a more consistent and modern content experience across Yahoo!. Yahoo! has strengthened partnerships with major tact players including Apple, Microsoft, Google, Facebook and this quarter Twitter. In Q2, Yahoo! integrated tweets into their homepage newsfeed. On the media side, Yahoo! extended their partnerships with leading news entertainment brands like ABC News, CNBC and Condé Nast adding breadth to the company’s portfolio of partner content. And also on the content front, the management intends to bring the complete Saturday Night Live archives to Yahoo!, all 38 years. Through a partnership with NBC Entertainment and Broadway Video, Yahoo! will be one of the most comprehensive digital homes for Saturday Night Live content. In Q2 Yahoo! saw a 59% decrease in attrition year-over-year. The management has not only inspired Yahoo! internally, people are applying to work in record numbers. In Yahoo’s peak week, they received nearly 10,000 resumes. With aggressive hiring and strategic acquisitions, Yahoo! has grown their dedicated mobile team by a factor of six in the past 12 months. Yahoo! has gone from having dozens of engineers to now having hundreds of engineers dedicated to mobile. In Q2 alone Yahoo! closed a number of key acquisitions including Summly, Astrid, Go Poll Go, Milewise, Loki Studios, Rondee, Ghostbird Software, PlayerScale and of course Tumblr . ‘These companies bring sophisticated technology and intellectual property to strengthen our product portfolio and they bring great engineering and product talent to Yahoo!’ said Marissa Mayer. And in May Yahoo! acquired Tumblr. As one of the fastest growing media networks in the world, Tumblr has an incredibly engaged community of younger users to complement Yahoo’s core audience. Since the deal, Tumblr’s growth has seen acceleration with almost a quarter of a million new blogs being set up each day. While Tumblr is now officially part of Yahoo!, the Tumblr team will continue to operate independently. They will continue on their mission to empower creators and curators alike to do what they love, create. As part of the Yahoo!, Tumblr gains access to its sophisticated personalization technologies to improve serendipity and discovery. Meanwhile, the potential to integrate Tumblr content into Yahoo's product will create more compelling experiences for its users. Traffic improvement is taking shape, the company also needs to increase its emphasis on monetization and take steps to optimize pricing and improve the sell through rate. For Q3, Yahoo! expects revenue excluding TAC to be in the range of 1.06 billion to 1.1 billion. Adjusted EBITDA to be between 330 million and 350 million and non- GAAP operating income to be between 165 million and 185 million. Relative to annual guidance, Yahoo! is adjusting its revenue anticipation modestly with the confident results in the first half of the year. The management is adjusting their EBITDA and operating income expectations down to account for the lower revenue, investments and expenses primarily related to Tumblr. They expect full year revenue excluding TAC to be 4.45 billion to 4.55 billion, adjusted EBITDA to be 1.55 billion to 1.65 billion and non-GAAP operating income to be 900 million to 1.0 billion. Labels: Marissa Mayer, Tumblr, Yahoo! So why should you be interested in Inovio as a current/potential shareholder? Inovio is the most exciting, most innovative company in both immune therapeutics and vaccine space. Just since the last four years, Inovio has published more than 70 peer-reviewed journals that's more productivity. The company has zero debt and a very clean balance sheet and Roche’s upfront payment of $10 million allows Inovio to have full cash run rate through the third quarter, end of third quarter of 2015, this is most cash that this company has ever had. ‘We have the best innovative, most productive platform out there and our partnership with Roche has started that validation but our goal is to bring additional partnerships, additional non-dilutive partner in funding. We have received over $50 million in non-dilutive grants and contracts in the last four years, even prior to the Roche deal of this year. And along the way we may partner out each of these products during our developmental cycle’ said Dr. Joseph Kim, President and CEO. Inovio has taken aggressive approach to start planning for the Phase III studies already. And the company is working to start other cancer targeted studies in cervical cancer as well as head and neck cancer by early 2014. 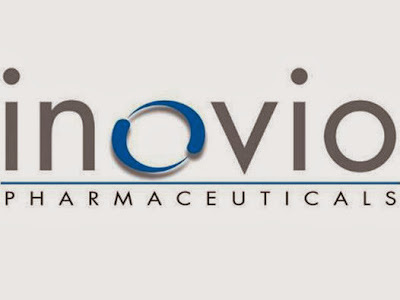 Inovio will also go for the orphan drug designation which brings additional benefits to the product program. So Inovio is taking on approach as a business strategy, a strategic approach to develop and really put together a powerful vaccine and immune therapeutics development program. Inovio is certainly looking to do some additional partnerships. Roche was not the only one interested in 5150 or 1800 programs and certainly there are additional advancing discussions for other partnership interest for other lead programs in the company’s pipeline. Inovio certainly has many of that including in the field of cancer for 5150. The company is racing ahead to start trial for their prostate cancer product with Roche and hopes to start Phase I studies study by early part of 2014. VGX-3100 is Inovio’s key, most advanced program Phase II efficacy data by midyear. INO-1400 is a truly value driving product as we see for Inovio. It's a therapeutic vaccine targeting the hTERT and hTERT accounts for 85% of all cancers. So, if Inovio can develop this successfully, this product 1400 has the potential to become a universal cancer therapy. The company will start with their initial test in breast and lung cancers and then expand to other cancer indications. Inovio has been able to generate best-in-class T-cell and antibody responses in these patients and they keep pushing the envelope of the technical and scientific development of their technology and efficacy results which is around the corner and mid year 2014 is going to add additional validating value for all of their programs. And Inovio’s win-win partnership with Roche is just the beginning. We expect additional corporate partnerships for their other programs with the additional Big Pharma. It's a fantastic deal; it's a win-win deal for both Inovio and Roche. For Inovio it brings a validating partner to the table and Inovio is licensing out two of their preclinical candidates, very high value targets for prostate cancer and hepatitis B therapy. For Roche they get to enjoy a foothold into one of the most exciting immunotherapy and vaccine research and development areas. It was a $10 million upfront deal, fully milestone, there will be over $412 million in milestones and when the products are on the market, up to double-digit percentage royalties. The milestones begin with Phase I, Phase II and so on these are pretty standard royalty and milestone terms. What is Arena Pharmaceuticals doing to make BELVIQ a success in the long-term? Arena is developing novel therapeutics that target GPCRs. The company's lead product BELVIQ is FDA approved for chronic weight management and was launched in June by Eisai. Arena is also looking at expanding BELVIQ not just in U.S., but to other markets worldwide and want to make this product available globally to help fight the global epidemic of obesity. BELVIQ is a novel single agent for chronic weight management discovered and developed by Arena Pharmaceuticals. How does it work? It's believed to decrease food consumption and make you feel full. So, what happens is, you feel full, you don't want to eat, you don't want to eat, you don't have those cravings and when you do eat, you eat less. Arena’s Phase 3 program has about 8,000 patients, a very good safety and efficacy database. Physician awareness; this is the first phase of any launch campaign. If the physician doesn't know about the drug, they can't prescribe it. 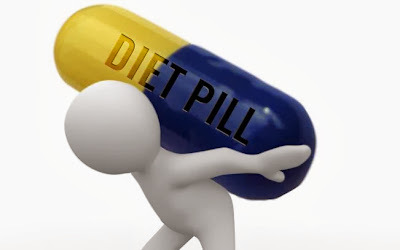 They have to understand the benefit profile as well as the safety profile and who the appropriate patients are for the drug very, very important in the weight loss for a weight loss agent and a weight maintenance agent because you want to see those patient successes out of the game. So Eisai has developed a very comprehensive plan with many touchpoints for physicians. Chronic weight management with BELVIQ and with the efficacy associated with the drug, they can actually order the pivotal trial, the general articles as well as if they just want to get the top-line results they can get those. When ask about ‘How you feel rising interest rates over the last three months are going to affect the housing recovery going forward? Just a little bit of historic context. What we saw in terms of the plunge in home prices in the midst of the Great Recession was something we hadn't seen in a very long time. And it hurt a lot of families. Homeownership is the quintessential element of the American Dream. It's what all of us understand when we say we want to have some middle class security. And so what we did over the first three and a half, four years in my administration was throw everything that we could at helping homeowners who have seen their houses go under water to slowly build back that equity. 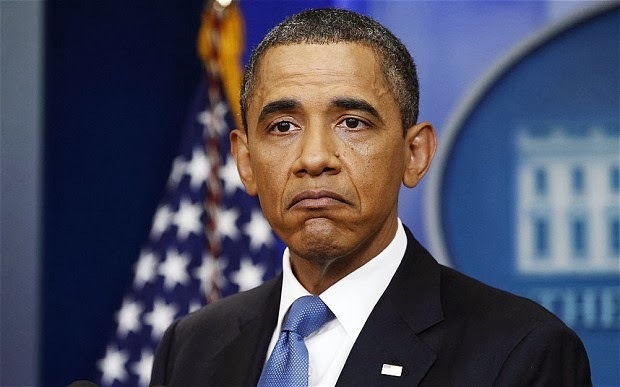 With the help of the Federal Reserve, interest rates came down. And what we have seen is healing pretty much across the country when it comes to the housing market. We've also seen a lot of refinancing activity, in part, because we modified some administrative rules so that folks who had Government guarantees could refinance even if they were under water and it saved people a lot of money up to $3,000. We've seen interest rates now tick up. So far at least, though, the housing market has continued to be fairly robust. And there's been reporting just this week. Some of the data has come in showing that you're still seeing some good, steady growth. But I think that all of us recognize that it is still a soft housing market, in part, because it's still a soft employment market. There are still a lot of folks who are out of work. And the real economy is directly related to the housing market. So what we've heard from the Federal Reserve Chairman is that he thinks it's important for interest rates to remain relatively low so long as unemployment remains high. That should continue to help the housing market. But given that interest rates tick up a little bit as the economy improves, it is especially important for Congress to act on the proposal that we put forward which says, let's not just let a few people refinance, let's allow everybody who is potentially eligible to go ahead and refinance. It can end up being the equivalent of a $3,000 tax cut basically, money in your pocket, or alternatively as Andrew was talking about it gives homeowners an opportunity to start building back some of the equity in the home that they lost during the great recession. Most of us when we buy our first home, we buy a start home. When Michelle and I bought our first home, we bought a condo and lived in it for about ten years before we then moved into a full-fledged standalone home. And the reason we were able to do it was because we both had some equity as well as got some raises and eventually we're able to get the down payment together for a larger house. It's tougher now, for folks who have lost their equity. I can't say that that there is a magic formula in a situation that was just described in the place like New Orleans. On the one hand it's great that housing values have bounced back, on the other hand, most folks haven't gotten all their equity back if they purchased right in 2005 or 2004 right before the bubble popped. What we do know is that if, number one, we keep interest rates low that will help. Number two, that keeping the overall economy moving in the right direction means that there is a stronger market for homes and the values of the existing starter home goes up. The good news is that you’ve got a lot of potential families or families that put off buying a home during the midst of the recession and so if you look at the numbers the amount of new family formation is going to be increasing fairly rapidly. There is going to be pent-up demand and potentially those smaller starter homes, they are going to increase in value as well. And one other things that we've been looking at is finally how could we make sure that more people whose homes are still under water can potentially benefit from the refinancing programs that we've talked about. While our company goes through the necessary changes to create the best business model for our hardware business, we continue to see confidence from our customers through the increasing penetration of BES 10, where we now have more than 25,000 commercial and test servers installed to date, up from 19,000 in July 2013. We understand how some of the activities we are going through create uncertainty, but we remain a financially strong company with $2.6 billion in cash and no debt. We are focused on our targeted markets, and are committed to completing our transition quickly in order to establish a more focused and efficient company. Revenue for Q2 of fiscal 2014 was approximately $1.6 billion, down 49% from $3.1 billion in the previous quarter and down 45% from $2.9 billion in the same quarter of fiscal 2013. The revenue breakdown for the quarter was approximately 49% for hardware, 46% for service and 5% for software and other revenue. The GAAP loss from continuing operations for the quarter was $965 million, or $1.84 per share diluted, including a primarily non-cash, pre-tax charge against inventory and supply commitments of approximately $934 million (the “Z10 Inventory Charge”), and pre-tax restructuring charges of approximately $72 million related to the Cost Optimization and Resource Efficiency (“CORE”) program. This is compared with a GAAP loss from continuing operations of $84 million, or $0.16 per share diluted in the prior quarter and GAAP loss from continuing operations of $229 million, or $0.44 per share diluted, in the same quarter last year. The adjusted loss from continuing operations for the second quarter was $248 million, or $0.47 per share diluted. The adjusted loss from continuing operations and adjusted diluted loss per share exclude the impact of the Z10 Inventory Charge of approximately $934 million ($666 million after tax) and pre-tax restructuring charges of approximately $72 million ($51 million after tax) related to the CORE program incurred in the second quarter of fiscal 2014. These impacts on GAAP loss from continuing operations and diluted loss per share from continuing operations are summarized in the table below. The total of cash, cash equivalents, short-term and long-term investments was $2.6 billion as of August 31, 2013, compared to $3.1 billion at the end of the previous quarter. Cash flow used in operations in the second quarter was approximately $136 million. Uses of cash included intangible asset additions of approximately $268 million and capital expenditures of approximately $112 million. If Gravity makes it big, IMAX will get a third of the box office!!! ‘So we have two revenue streams. One is this 20% we get from the exhibitors in certain countries, it's 1.2 million, which is 50% gross margin and the second is from the studios we get 12.5% of the box office. So again just because it's on my mind it's opening next week, when Gravity opens with Warner Brothers we get 12.5% of the box office from Warner Brothers on whatever the film does in an IMAX theater and we also get roughly 20% of our joint venture theaters and then a one-time margin and a small royalty from the theaters that were opened. We're summarizing that we get roughly a third of the box office’. Gravity is a 2013 3D film co-written, co-produced, co-edited and directed by Alfonso Cuarón. The film stars Sandra Bullock and George Clooney as surviving astronauts in a damaged space shuttle. Cuarón wrote the screenplay with his son Jonás and attempted to develop the project at Universal Pictures. After the rights to the project were sold, the project found traction at Warner Bros. instead, and the studio approached multiple actresses before casting Bullock in the female lead role. Robert Downey, Jr. was also involved as the male lead before leaving the project and being replaced by Clooney. 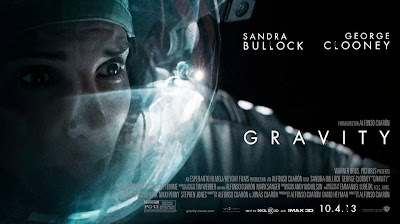 Gravity opened at the 70th Venice International Film Festival in August 2013. Its North American premiere was three days later at the Telluride Film Festival. It is scheduled for wide release in the United States and Canada on October 4, 2013. So how is Nike able to succeed in a challenging global economy? 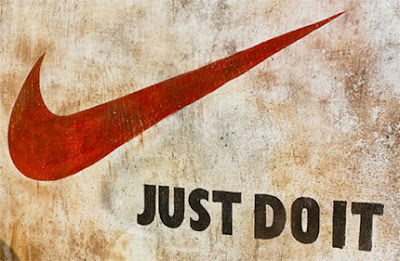 25 years ago NIKE launched its first ‘Just Do It’. These are three simple words that remain a rallying cry for people striving to reach their full potential. Looking at Q1 results, Nike is off to a great start. First quarter revenues were up 8%, gross margins grew 120 basis points better than projected and diluted earnings per share increased 37% to $0.86. By focusing on the fundamentals, the competitive advantages that help Nike win and expand their leadership position. Mark Parker, President and CEO provided with three highlights; ability to innovate, the power of the NIKE Inc portfolio and ability to continue to make meaningful connections with consumers. So let's take a look at the first one, ability to innovate. It's what fuels Nike’s growth and it always starts with the athletes. How can Nike make the athlete faster, stronger, better and help them push themselves to new levels of performance. In Q1 Nike launched a whole array of products that deliver the promise including the NIKE Free Flyknit, the next generation of Flyknit products in a running category. This shoe demonstrates how Nike takes Flyknit and combines it with other footwear platform like Free in this case to continue to integrate and serve the athletes. As you may have heard before, Flyknit is high performance, visually iconic and manufactured in ways that reduce labor and waste. First quarter revenue for Nike Inc. increased 8% on both a reported and currency neutral basis as revenue for the NIKE brand including NIKE Golf and Hurley increased 7% and Converse increased 16%. NIKE brand future orders accelerated to 10% growth on a currency neutral basis reflecting a 7% increase in units and a 3% increase in average selling price. The increase was led by double-digit growth in North America and both European geographies. Weaker foreign currencies reduced reported futures growth to 8%. First quarter diluted EPS increased 37% to $0.86 driven by revenue growth, gross margin expansion and leverage of SG&A expenses which were flat for the quarter. In North America Q1 revenue increased 9% on both a reported and a constant currency basis, driven by growth across all key categories except Golf, including double-digit growth in Basketball, running and men's training. For the quarter footwear revenue increased 9%, while apparel and equipment grew 9% and 13% respectively. For the second quarter, Nike expects to see gross margin expansion of about 50 basis points driven by continued benefits from higher average prices, easing raw material costs and growth in DTC partially offset by higher discounts to clear inventories in Mexico, start-up costs for expanded U.S. distribution center and stiffening FX headwinds . For the fiscal year, they also expect gross margin expansion of approximately 50 basis points, a modest increase from prior guidance as the ongoing impact of the upside that drove Q1 results are expected to more than offset FX headwinds and labor cost inflation. For Q2, Nike expects SG&A to grow at a mid-teens rate reflecting shifts in demand creation, phasing and ongoing investments in strategic initiatives. The management indicated last quarter that there will be more volatility in the year-over-year comparisons of SG&A due the timing of key sporting events this year and last. For the full year, Nike continues to expect SG&A to grow at a low double-digit rate as they invest in their brands, DTC and innovation. For FY '14, they continue to expect the effective tax rate will be about 25%. Q1 was a great start for fiscal 2014 delivering strong growth in revenue and profitability. Over the balance of the year, management expects to continue to drive revenue growth and gross margin expansion while making the investment and demand creation and innovation that will deliver sustainable profitable growth and consistent value to their shareholders in the future. Foxriver11: Hic! Hic! Another round of rum for me before I start writing this. The cup tie, when Arsene usually throws the young guns into shallow waters was here and boy, were we on the edge. It was supposed to be an easy draw for the gooners considering the run of form we were in; but Wenger had done what he does best, a young squad with just a few 1st team players and those who desperately wanted some game time after their injury layoffs. Hayden got a surprise debut at the hawthorns because of a shoulder niggle on Flamini. Per, Gnabry and Flamini were the only players who were involved in the side that won against stoke in the weekend. It was an untidy game from the kick-off as two sides full of unfamiliar names wrestled to get to grips with both themselves and each other. The 1st half was fairly uneventful for both teams, until late in the half when either side could have taken the lead. First, it was Gnabry who tried a shot on goal which was paired away by Reid after a goal line save. And minutes later, Fabianski was called into action for a quick save when Mulumbu sent a volley flying across the goal. For WBA Mulumbu, Sessegnon, Sinclair and Berahino were controlling the midfield battle over Arsenal and attack after attack kept flying down the right hand side where Monreal was having a tough time dealing with Berahino. The young guns of Arsenal were growing into the game as the game progressed. Hayden put in some strong challenges and was pretty effective in breaking WBA attacks along with Arteta. Miyachi and Gnabry kept making runs on the WBA defense, but their final ball wasn't up to the mark. Bentdner was excellent for someone who hasn't played a lot for Arsenal even though he has been with us for over 9 seasons now. The only disappointment was Eisfield, he looked lost for brief patches during the match except for a sublimely taken goal for which even Wenger praised him saying he showed Pires's class in his 1st touch to gather the ball from Bentdner and slot it deftly past the keeper, 1-0 to Arsenal against the run of play. WBA kept persisting and a momentarily collapse of concentration by the gunners allowed Berahino to equalize, a well taken finish at that. 81 minutes into the game and Eisfield was replaced by 17 yr old Akpom, Hayden was replaced moments later by Kris Olsson. In injury-time Gnabry had a chance to steal the win, but he couldn’t connect with a fine cross by Jenkinson. Extra-time saw Arteta forced off with cramps in his left foot, perhaps unsurprising given his lack of game time, and Hector Bellerin slotted into midfield despite being a right-back. Olsson and Bellerin took no time in settling in and played pretty decent in the final minutes. The last two minutes of Extra Time sent shivers down gooners spines when Amalfitano came on and sent a few shots Fabianski's way; one hitting the cross bar on the dying moments. Penalties!!! It’s been cruel to Arsenal a few years running now, but I guess lady luck does give a breather occasionally after all. It looked like the Gunners were dead and buried when Serge Gnabry missed, but poor efforts by Amalfitano and Dawson gave Nacho Monreal the chance to score the decisive kick, which he duly smacked home. The composure shown by the young guns to even step up to the penalty spot was a clear sign of Arsene's favorite character that he looks in players. On an irrelevant note, it was heartening to be on the other end of a penalty result!! Also watching TGSTEL to be playing with a different kind of attitude was also a positive note, me thinks :p. Anyways back to the weekend fixture against Swansea to look forward to now and assist master Özil terrorize some swans. 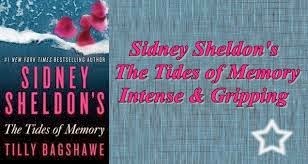 Another fantastic piece by the spellbinding storyteller of all times, Tilly Bagshawe and Sidney Sheldon present an intriguing saga which leaves you hanging amidst the very fine line in actual life events and fictional yarns. Beautiful beyond words, filthy rich, pampered, the privileged party girl Tony Gilleti and her lover Billy Hamlin witness a young kid's drowning. Billy convicted of murder gets a 15 year sentence, whereas tony decides to leave home sanitizing her past. It takes a lifelong to aspire and achieve the zenith, but only an instant, a single unguarded instant to lose it all!! Alexia De Vere - The lady with a formidable and captivating past lives in a charade full of dark deadly currents which could anytime put her on the brink of losing everything. Appointed as the home secretary of Great Britain, Alexia has the world at her feet with an aristocratic husband, a doting son and a berserk daughter. The story revolves around a thrilling plot full of suspense, unpredictable turns, threats from past and a mysterious stalker who would in time change her whole life by bringing forth all the lies, the memories and the hidden truth of her past which she has camouflaged for so long, but all that can save her now is the truth itself! How far will each of them go to conceal the truth? To maintain the family heritage, to protect their loved ones? What happens when you spend your life with people you think you know, but ultimately realize you DON'T!! Here's a story about unconditional love, friendship, betrayal and much more. A must read for all the Sheldon fans. Interesting gripping turns with heart throbbing suspense throughout the tale. Tilly Bagshawe truly keeps up to Sheldon's reputation with this classic thriller relating to the past getting in your present to frame your future. 'Tides Of Memory' is a heart racing fiction thriller book with so many twists and turns that it would set your pulse racing, and if it doesn't, then let’s just say you need to get your meds checked!! 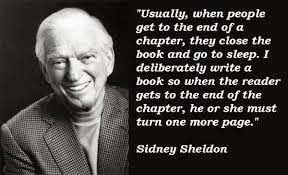 Read more about Sidney Sheldon. A prolific writer Sidney wrote his first piece at the age of ten, a poem for which he earned $10. He is the author of 18 novels which have sold over 300 million copies worldwide. Most of his avid readers are women, on this Sheldon said ''I like to write about women who are talented and capable but most importantly, retain their femininity. Women have tremendous power - their femininity, because Men can't do without it''. Yet another flaw in the iOS 7. A German group called Chaos Computer Club claims that the finger print ID on the iPhone 5S can be hacked. They have shown this demonstration through a video. If this proves to be true, then it would be a security concern for over a million people who own iPhone 5S. They have mentioned in their blog, the group says that their biometric team took a fingerprint of the user, photographed from a glass surface and then created a fake fingerprint which could be used with a real finger to unlock the phone. They have supported their claim with a video which shows that after repeated failed attempts, the guy uses a thin film of the finger print and unlocks the phone with it. Though physical access to the phone is required and also a clean fingerprint, but it still does increase the risk of security breach. 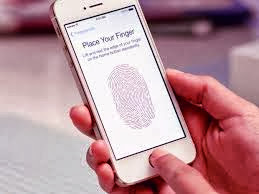 Though the fingerprint sensor is a very cool addition to the newest version of the iPhone, an important question that arises, Is Apple sacrificing its most important factor, security, to catch up with the plethora of features being introduced by its rival Android phones? This is the third time in less than a week of its release, that we are seeing flaws in Apple’s latest iOS 7. It started with the flaw that was found in the control center. The second was a bug that was reported wherein the emergency call screen could be used to call any number and now this; Apple Inc. is still to respond to the Touch ID observations and I am eagerly waiting for their reply. This is only the first week of iOS 7 and we are already seeing three major flaws, can’t wait to see what happens in the coming weeks. An apple update would probably fix the first two issues. But the Touch ID is a hole in the security feature and this flaw will create concerns for businessmen who keep sensitive data on their phone. What does J. C. Penney stand for? What's their unique position in the marketplace? ‘Customers tell us they enjoy shopping with us, always something new, some excitement’ says Myron E. (Mike) Ullman, III, CEO. In 2011, J.C. Penney did business at least once with over 50% of the families in America. They have enjoyed a 111 year old tradition of being a trusted destination for high quality goods at prices affordable for the American hardworking family. 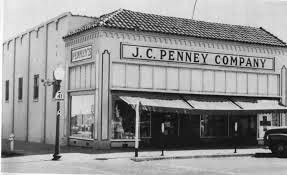 A friendly smile and the golden rule approach to taking care of customers have served for generations all under one flag, J.C. Penney. While the business climate today is very different and more competitive than it's ever been, the values and principles of J.C. Penney business have not changed. Their business is built around having strong private brand merchandize, high quality, and relevant style at compelling prices. Brands like Arizona, Worthington, Stafford, St. John's Bay and Xersion have been the core of J.C. Penney's assortments and a reason for frequent business to stores and online. Many customers believe these proprietary and exclusive brands are actually national brands. J.C. Penney has most desired national brand partners and compete head-to-head for the best assortments and presentations. Their most prominent partners include Levi's, Nike, Van Heusen, Carter's, Vanity Fair, Dockers and many others. With Sephora, the world's leading beauty destination now in 446 of our stores, Liz Claiborne, the most popular women's apparel brand, Liz Claiborne in men's, Mango , the only fast fashion brand in the U.S. department store, Modern Bride in jewelry, Royal Velvet in home, Joe Fresh , Jonathan Adler and many more, there is always something to discover. Myron E. (Mike) Ullman, III also added, ‘Thousands of customers have told us they are excited that J.C. Penney they love and appreciate us back. They make it clear they want to see us as leader in our community. It's with these things in mind that our team is enthusiastic about having the unique opportunity to restore our Great American icon to its rightful place’. J.C. Penney is going to continue to drive traffic conversion with occasion specific promotions and the right merchandise. First, they are going to continue to improve their assortments with better balance with private national brands and exclusive brands. In kids, the Disney shops will open inside J.C. Penny in early October. There will be visible product changes in men's in the same period with important improvements in strong selling Dockers and Hager brands. In addition to St. John's Bay, J.C. Penney is beginning to see strength across several of their private brands including jcp.home, Cooks and Ambrielle. Second, J.C. Penney is working quickly and forcefully to strengthen their marketing and messaging to restore customer loyalty and excitement. This includes positioning J.C. Penny as a primary destination for Black Friday and Cyber Monday and it's the same momentum throughout the holidays. They are also bringing back tiered J. C. Penney rewards program in order to build customer loyalty and regain the traction that had lost when the company discontinued these successful sales drivers. J.C. Penney is focusing its efforts on regaining customer loyalty by offering trusted brands, award winning service and the affordability that America's families can depend on. Foxriver11: All eyes were set on the Manchester derby taking place later in the evening but at Islington a few hours before masses gathered to welcome a Stoke side unlike many that Pulis used to show us was gonna be entertained by gooners who wanted a bitter sweet revenge for the in-form Ramsey. Yes, the same Aaron Ramsey who was booed off the pitch when Shawcross horribly tried to end a career of a budding talent. But years passed on to that incident and Aaron rose again like a phoenix rising from the flames giving his all for a team that were trying to find a balance, a foothold for a position that was always doubted of their worth by the English media. His mental strength was the thing that Arsene Wenger grew so fond of speaking to the press about his team overall on a regular basis. So when the season where he actually began to show his potential on the pitch started, gooners all over began to anticipate the horrors that would hold for the Welsh captain when he faced the team that almost ruined him. Another much speculated player so far has been the arrival of Mesut Ozil, many have compared his signing to the Ice Man one of Wenger's classiest signings ever. I had failed to grasp the intensity of what this meant, but now reading the similarities in their signing and class, I am beginning to understand the similarities these players have. Besides being World class players, both came at a time where Arsenal actually were pretty balanced in the attacking midfield department, but were in deep crap at both their strikers and defensive positions but the influence that world class players have on a pretty average team can be phenomenal to say the least. Arsenal forced to make a very late change to the side that beat Marseille mid week Walcott replaced by young German Gnabry on the right hand side because of an abdominal muscle problem to the English forward. It wasn't long since Arsenal found their rhythm in the half before Wilshere was fouled by Charlie Adam disrupting the flow of the game, but what was surprising was the way Arsenal nicked the 1st goal of the game. SET PLAY against stoke, Ozil whipped in an attempt on goal which was parried on to Ramsey who seems can't make any mistake now, 1-0 to the gunners. The Emirates crowd exploded with promise of more to come. Steven Nzonzi then eluded BFG to send a shot towards SZCZ. Cameron was the quickest to react and stoke equalized 1-1. Arsenal stepped up to the pressure after the goal and were rewarded soon after a Ozil corner led to a Goal by Per Mertesacker’s looping header, second time lucky for the BFG who had a similar effort saved moments before 2-1 to the gunners. In the second half, Stoke dictated the tempo for most of the match, but Gnabry who was rising in stature in the half tried an audacious long ranger at Begovic, who had saved the effort comfortably, remained untroubled for the first 20 mins. Thankfully the gunners scored again against the run of play from another set piece. Set piece against stoke, this never fails to rub the smile off my face. Anyways it was Wilshere being fouled for the 9th time in the match that led to the free kick which was taken by Ozil who had a looped ball for Bacary in the box who made no mistake and looped it over Begovic, 3-1. Gibbs and Flamini just grew into the game and controlled the Stoke moves before it turned to serious threats, clever interceptions and Koscielny controlling the long balls completely negated the Stoke threat. Miyaichi, Monreal and Arteta got a run in before the clock ticked down, Arsenal fans were high and running, singing we are top of the league as the whistle blew. Its true not many games have been played to celebrate in that manner, but considering our previous starts to the seasons we deserve all the cheer and spirit we get from the fans. Let’s discuss Enterprise Mobility Services, which includes both traditional enterprise business and new mobile computing opportunities in vertical markets such as automotive. Blackberry’s goal is to remain number one in Enterprise Mobility Management and have completely reengineered and rebuilt BES 10 to achieve that objective. 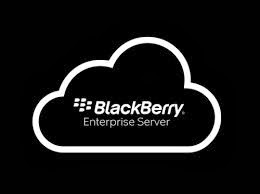 Since announcing BlackBerry Enterprise Service 10, this service has been installed by customers all around the world and secure workspace for iOS and Android devices has been tried globally with many BlackBerry customers. 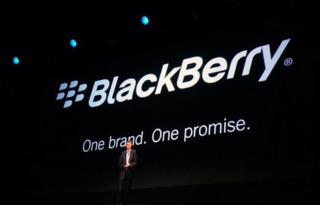 At the time of BlackBerry Live in May, 12,000 companies that had installed BES 10 for commercial or test purposes; today, this commercial and test installed base have grown to 19,000, in a period of four weeks, a clear indication of the strong enterprise interest in reengineered BlackBerry 10 Enterprise platform. While the Enterprise environment requires longer sales cycles than consumer-only focus product, the successful adoption of BES 10 and enterprise remains the single most important driver for Blackberry for future unit sales and service revenue opportunities. Already over 60% of all of BlackBerry’s Fortune 500 customers, as well as market of government agencies have already installed BES 10. With BES 10 the massive challenge for Blackberry during this transformation is moving from a vertical BlackBerry-only proprietary player to providing a comprehensive cross platform management solution that is evolving to an Enterprise Mobile Services platform regardless of the device deployed. The demonstration displaying BlackBerry 10 was also provided where an employee was showing an iPad and Android Nexus phone which was being run and managed by BES 10. So this way BES 10 outside key managers lower the total cost of ownership for the enterprise mobility and it also represents a key element of the strategic cross platform direction that BlackBerry is taking. ‘I probably can’t provide you a more concrete example of adapting and making real change at BlackBerry and that we have gone from dismissing to bring your own device to work trend to actually embracing it and driving it in the enterprise services and we think we’ve taken the offering and technology to a whole new level in enterprise, getting them ready for not just mobile communication but also get them ready for mobile computing and its BlackBerry who is enabling this based on a very strong BES 10 services platform’ said Thorsten Heins. So with this type of innovation that Blackberry is driving relentlessly through the company and into the market, they have product at hand with BES 10 being a premier solution for enterprises. Thorsten also added, ‘And we all follow the news, let’s be very, very clear, the topic of security and enterprises, the topic of privacy for consumers is coming back full force and that is for BlackBerry 10 helps protect corporate assets and information, and that is we are on the same device managed by BES 10 and balance, BlackBerry helps to also keep your privacy. Nobody else can do this as good as BlackBerry and it matters, nobody loves to talk about it’. “I assure you that every employee in BlackBerry understands the level of commitment and work that is needed to get us into the next stage of our transformation”. Let me start recapping what Blackberry accomplished in the past year during the first stage of their transition, which took the company from losses and burning cash at the start of the year to a sound liquidity position in the fourth quarter at the end of that very fiscal year. Changes last year started at the top, as Blackberry implemented significant changes at the Board level, adding three outside members with extensive mobile communications industry and business experience and also made senior management changes in BlackBerry. They hired a new Chief Marketing Officer, a new Chief Operating Officer, a new Chief Legal Officer, and a new Executive Vice President to lead Global Human Resources Group and Department; all of them have extensive international experience in the mobile communications industry. This new executive team responded quickly to focusing on delivering strong BlackBerry 10 platform to the market and implementing personnel changes throughout the global organization, reducing layers of management and reducing complexity in Blackberry. Promoting a high-performance culture throughout the entire organization has been a high-priority of Thorsten Heins, CEO of Blackberry throughout the first year. “We know who BlackBerry is and we know it’s driven by its people and we will continue to invest in all those activities that reinvigorate this competitive culture of the company” says Thorsten. Blackberry also implemented significant and major changes throughout the organization and significantly reduced their cost base with CORE programs and saved $1 billion within one year. They launched the program actually at the start of the year and achieved their savings target of full quarter ahead of the schedule. Not only did the benefits from this cost reduction program show up in terms of better financial results, but they also put Blackberry in a position to reinvest in the new platform in this coming year. Additionally, the CORE program helped also to create a new attitude and a new culture shift in the company where teams continually look at how to innovate faster but also how to do things much more efficiently than in the past. Collaboration between their teams and supplier base also resulted in a much more efficient supply chain. Over the past year, Blackberry moved from four manufacturing partners down to two and reduced their manufacturing sites from ten to four and also outsourced global repair operations. Now because of all these significant changes, at present Blackberry’s costs are lower, working capital performance is strong, they see way better production yields and established a much more robust supply chain that is resulting in a much more efficient way of building products. While they’ve reduced cost and drove efficiency in the company, Blackberry has also invested significantly in this huge transformation of their application ecosystem. At launch of BlackBerry 10, they had the higher number of apps available compared to any mobile ecosystem at platform launch. Thorsten Heins added, “We started with 70,000 global BlackBerry 10 apps at launch and as of today, we have reached a number of over 120,000. And also over the past year, we reestablished credibility with our carrier and distribution partners with the introduction of BlackBerry 10 and BES 10. While we are satisfied with the reception of BlackBerry 10 in various regions, we fully understand as the management team that we still have a way to go in the U.S. market as the most ferocious and the most competitive market in our industry”. Blackberry delivered their new devices, Z10, Q10, Q5, and also delivered on BES 10 Enterprise Management Service which have been designed to give enterprise and consumers more features, more flexibility and the ability to do things smarter and faster. Talking about financial strength, Blackberry established a strong balance sheet. Last year at this time, they had $2 billion in cash and no debt on the company. By year end, cash flow was up to $2.9 billion and this was accomplished despite incurring restructuring cost of $220 million, as well as supplying other funding commitments. BlackBerry delivered on significant change in the past year and importantly, delivered on their commitment in the areas that they said they would deliver. “Let me be very clear while we have made all this great progress and while we are proud of what we achieved in the first phase of our transition, we are still in the midst of a major complex transition of this company” said Heins. And as you may understand like most of these major transformations of companies, progress can be volatile and it can be volatile in the short-term basis. 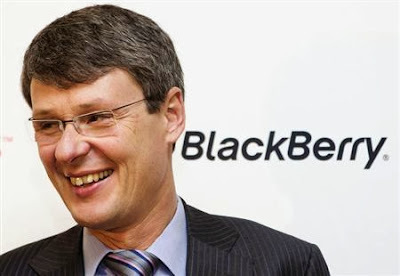 Thorsten Heins further added, “I assure you that every employee in BlackBerry understands the level of commitment and work that is needed to get us into the next stage of our transformation. While this year, we are all embarking on the second stage of this very transformation and it will involve additional investment and it will also involve a continued drive for efficiency throughout our organization”.